This product is temporarily out of stock. It can still be purchased and we'll deliver as soon as it becomes available. The No.1 professional tool for hair on the move! 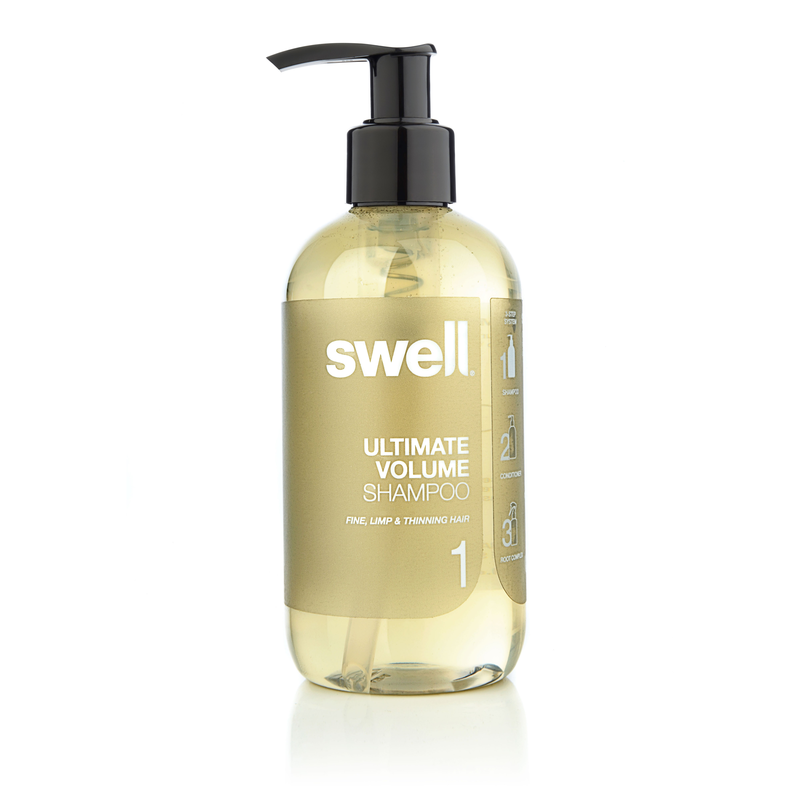 Swell’s Ultimate Volume Dry Shampoo brings 24 hour freshness and body to all hair types. Swell's unique Eco-Pump delivery system produces a super fine mist, giving you total control. Non-aerosol. No Tackiness. No 'ghosting'. Min. 97% Natural Source. No Silicones. No Build up. 97% Min. Natural Source. Suitable for Vegans. Gluten Free. 1. Shake bottle before and during use. 2. Focussing on the roots, pump to ensure fine powder application. 3. Run hands through hair to distribute product. Best dry shampoo Posted by Wendy Marfleet on 24th Dec 2015 I've got fine highlighted blonde hair and most dry shampoos leave my hair feeling tacky and looking dull. Not this one - it's light and leaves my hair shiny. Good product Posted by Nettie on 14th Mar 2015 I have used this once, compared to other similar products this was a surprisingly fine mist. I was most impressed, my hair remained very healthy, and not heavy and dull. Light and puffy! Posted by Jacqueline Moulson on 11th Aug 2014 I have used this product twice so far. On both occasions it has made my hair look clean and washed with some volume. There is no evidence that I have used it either which is excellent. Best dry shampoo I've tried (ever!) Posted by Diane Ireland on 11th Aug 2014 I've just been on a short break and needed to use a dry shampoo rather than spend time on my full Swell routine while I was away. This product did not make my hair dull or flat like other dry shampoos. I feel that my hair remained full and healthy-looking; I really did not need to wash and restyle. Thanks, Swell - another great product! I really like to use this dry shampoo, it actually works! BUT I really don't like the talc in the ingredient list... 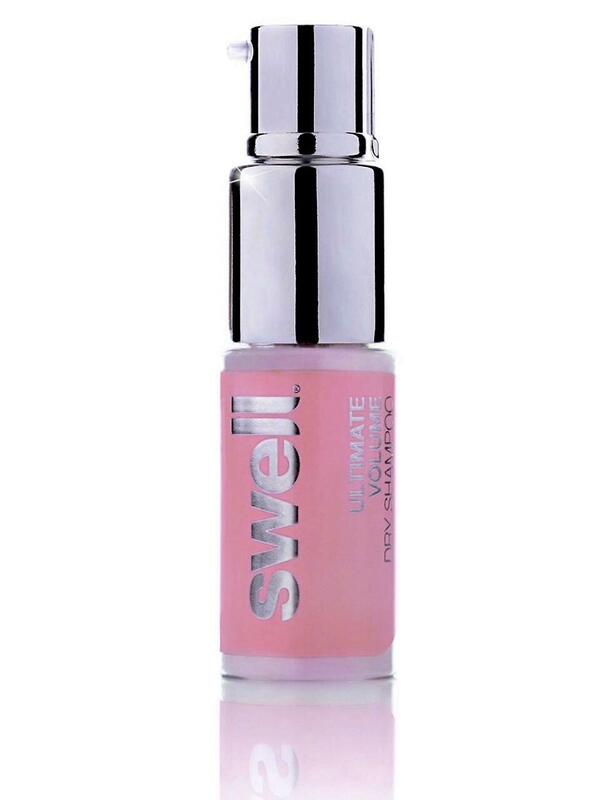 If Swell would leave it out, it would be the perfect dry shampoo in the world! How did you rate this Swell product? You may also be interested in these products.. 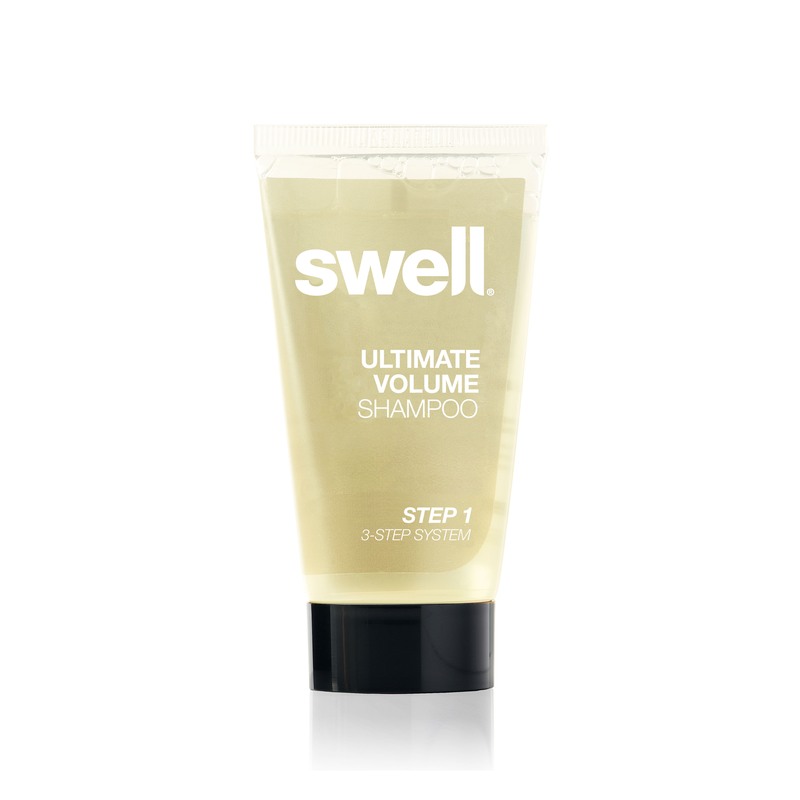 Ultimate Volume Shampoo 250ml STEP 1 in the Swell 3 Step System.